Our family campsite located in Dordogne, near Sarlat la Caneda, offers many accommodations. 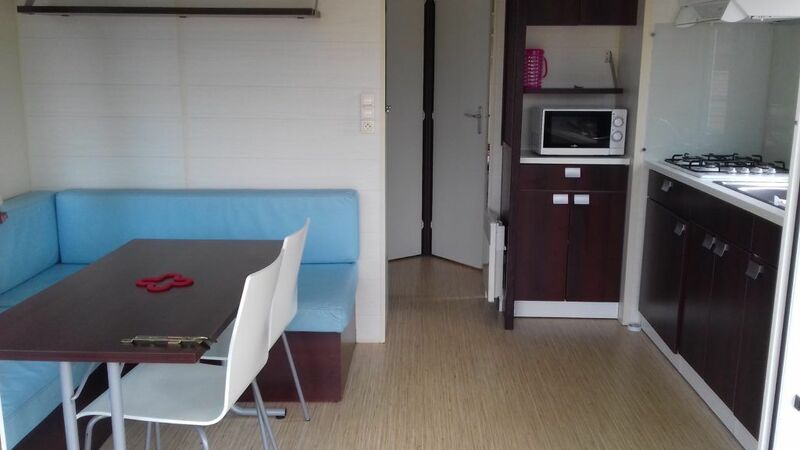 Among the proposed rentals, there is our mobile home O’Phéa, with panoramic view for a family of 4 people. Validated eco-label, it is also spacious with modern design. Located in the heart of Périgord Noir, pitches of those mobil are very appreciated. On our website, you can check availabilities and the prices. You can also book online. A nice and spacious accommodation for 4 people. 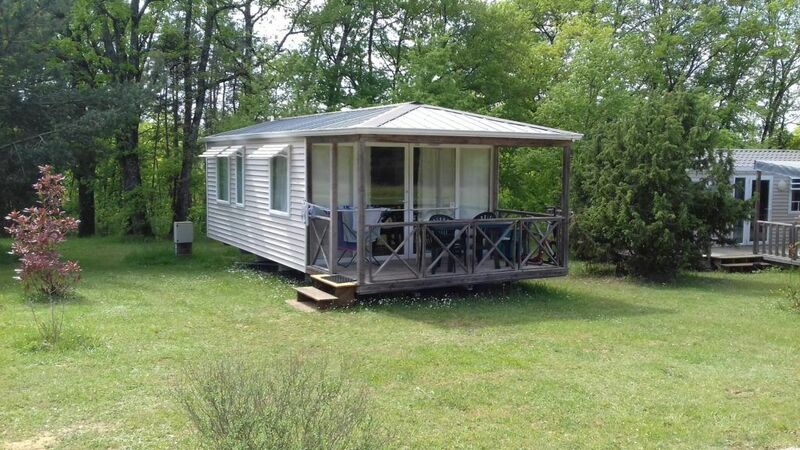 The mobile home panoramic is a modern and recent rentals of our Dordogne campsite. Inside there is two bedrooms giving access to a living room with kitchen and panoramic views on the covered terrace and its place. Whatever the season, you can enjoy its location and the view on the surrounding nature. Simple, colorful and modern, this mobile home is ideal for you to spend great holidays in Dordogne, in our 4 stars family campsite. 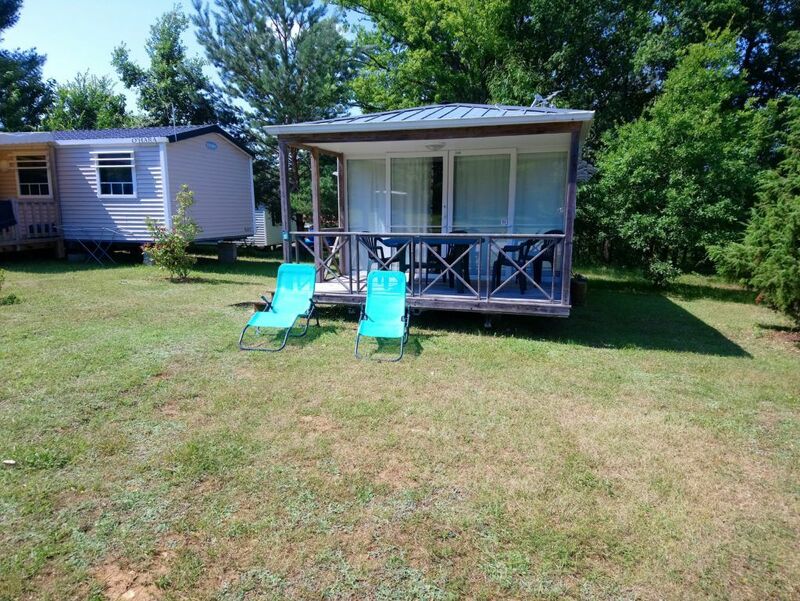 With these mobile home installed in Dordogne, near Sarlat la Canéda, make sure you’ll spend pleasant holidays in our family campsite. The 2 bedrooms, installed at the bottom of the rental can keep a part of privacy. The living room with kitchen and panoramic view of the covered terrace and nature allows you to enjoy the calm to rest. To relax under the sun of Périgord, deckchairs and garden furniture are at your disposal. However, this rental is not accessible to people with reduced mobility. If you wish, you can also rent a TV (depending on location – Confirmation by Mail absolutly). 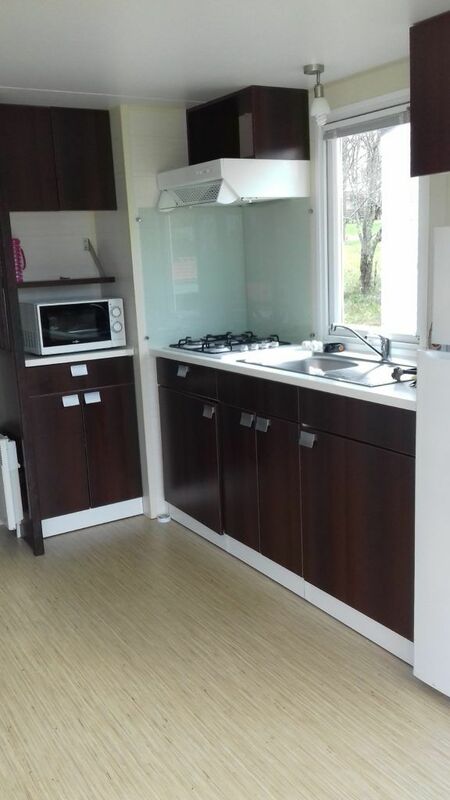 To give you an idea of ​​the layout and design of this accommodation near Sarlat-la-Canéda, you can find many pictures and a plan. And if you have additional questions, do not hesitate to contact us. A charming, modern family mobile home located on a spacious site.